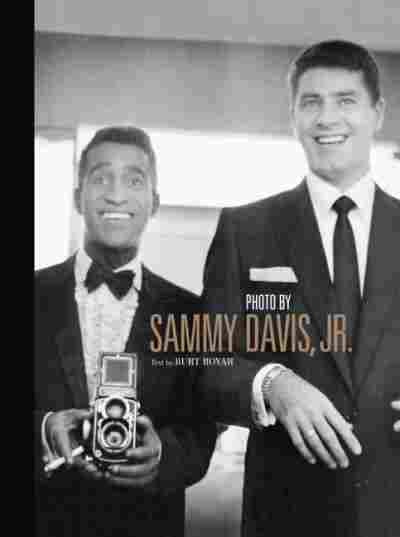 'Photo by Sammy Davis,' Scenes in Black and White Like many black entertainers of the 1950s and '60s, Sammy Davis Jr. lived in two worlds — one white; one black. Recently discovered photos taken by Davis depict a life lived on the color line. 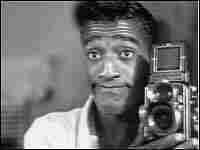 Like many prominent black entertainers of the 1950s and '60s, Sammy Davis Jr. lived in two worlds — one white; one black. He famously palled around with Frank Sinatra, Dean Martin and the Kennedys, and was linked to white starlets such as Kim Novak, June Allyson and the actress who became his second wife, May Britt. Unlike his peers, Davis often stayed in all-black hotels when he traveled. On the rare occasions when he was permitted to stay in the same hotels as white performers, Davis was criticized by black press. These trips back and forth across the racial divide pushed buttons for many Americans. It turns out that through it all, Davis also was pushing a button — on his camera. While conducting research for a documentary, biographer Burt Boyar found a treasure trove of photographs taken by Davis at a warehouse in Carson, Calif. The thousands of photos include rare portraits of Frank Sinatra, Dean Martin, Marilyn Monroe, Nat King Cole and others. Boyar compiled them into a new book called Photo by Sammy Davis, Jr. According to Boyar, Sammy "saw things as a photographer sees. It was an extension of his artistic self." The photographs offer a view of Rat Pack-era Las Vegas, Broadway and Hollywood. They depict a life lived on the color line, with Davis capturing a world of black celebrity and struggle. Boyar spoke to Tony Cox about the recently discovered images and what they tell us about Davis' world.